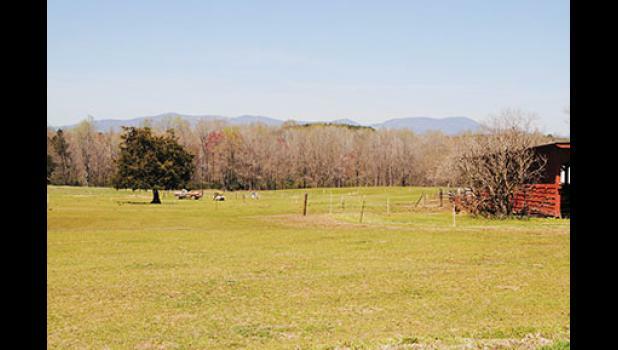 Blue Ridge is a community defined not by geographical boundaries, but by the pride of the people who call it home. Noted for its rural landscape and mountain views, addresses in the area can span Taylors, Greer, or even Tigerville. However, ask any local and they can tell you exactly where they are from. Once thought of solely as a backwoods spot in the road, the area is now receiving national attention, thanks in part to high-performing schools that have shattered some of the perceptions from the past. Styles decided to come back into her own community to make a difference. 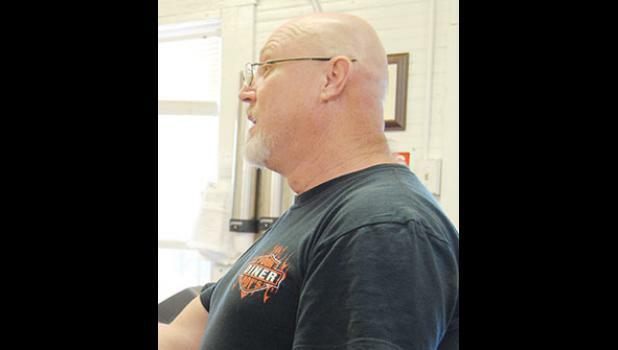 “When I first became a principal, there was a lot of talk, and people made comments to me about going back to the mountain people, back to moonshine country, because this area was also associated with moonshine,” Styles said. “I felt like I was being called to come back to my own community and to serve my community to make a difference because I see such wonderful people here, so I decided to come back and return and teach here,” she said. After teaching at the school, Styles became the first female principal in the history of Skyland, and one of the longest-standing principals in the Blue Ridge area. More than two decades after taking on that role, Styles has seen the community transition into a place that draws people from as far away as New York and Washington state. 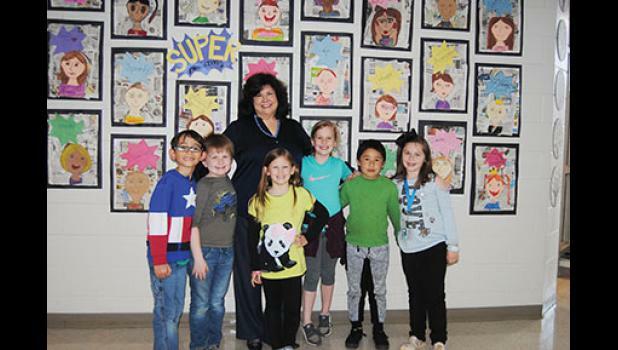 “We were one of five schools that was selected as a feature school for national blue ribbon, and we had the guests come here, spent a whole day in our school, filming and asking questions about what we do here,” she said. Greenville County Councilman for District 17 Joe Dill knows the community as well as anyone. He has served the Blue Ridge area for 32 years–12 years on the Greenville County School Board and 20 years on council. He also serves as Minister of Music at Blue Ridge Baptist Church. “Our community is close with our churches and schools,” he said. Dill is proud of the growing resources available in the area. Of course, the Blue Ridge mountains, from which the community derives its name, is a major part of the people who live there and an attraction for newcomers. “We love to go outside and see the Blue Ridge mountains and just enjoy the beauty of our surroundings,” she said. “There’s rich wildlife here. I’m a nut about wildflowers, so many beautiful wildflowers, so many unique wildflowers. The area’s location is also a draw. “My mother-in-law says I came for Christmas in 1989 and never left. Part of that is true,” said Chris Crist about his introduction to Blue Ridge. Crist married Blue Ridge High graduate, the former Tonya Lynn, and in 1993 moved across from the home where she was raised. “Once we moved back here, we immersed ourselves in the community, going to high school athletics, church and just being a part of the BR community,” he said. Crist’s children attended Skyland Elementary, Blue Ridge Middle and Blue Ridge High; and he coached the high school girls varsity soccer team for four years and boys varsity soccer team for two years before stepping down after the 2018 season. During that time, and since, he has witnessed a camaraderie in the people that transcends location. He has seen that action played out through the Greer, Blue Ridge high school sports rivalry. “I think there is a friendly banter that goes on between the fan base and communities. But when adversity strikes either community, EVERYONE comes together and supports each other,” Crist said. “Years ago when Coach (David) Farnham died, there was lots of black and gold at his funeral. When Nathan Moore tragically passed away, the Blue Ridge community held that family up in prayer and support. And recently when Coach (Travis) Perry went through his cancer battle, we all cheered his success. While Crist recognizes that growth in the area has changed the physical landscape of the once rural area, he maintains that the heart and soul of its residents remains constant. “As a whole, most BR folks are hard working, down-to-earth people. Alan Pittman is one of those people. “I’m on the same property I grew up on. My daddy had 48 acres of land, and he passed away, and that’s where I’m at. I ain’t leaving,” he said during a recent stop at O’Neal Hot Dog Shop on Highway 101 North, a fixture in the Blue Ridge community. “I remember when this store right here used to be a STORE. 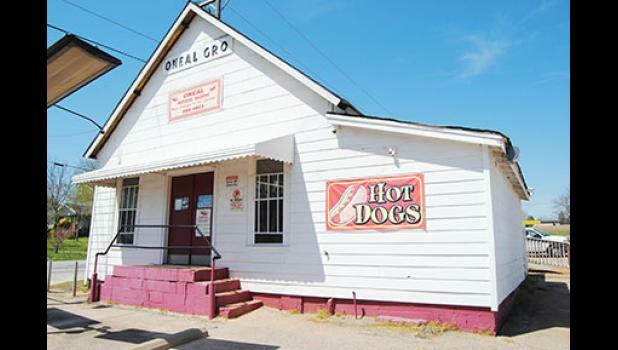 I could come get credit here,” Pittman said of the former O’Neal Grocery. The store has been around since before Pittman was born in the 60s. Pittman has since traded his two-wheeler for a 16-wheeler, but he always returns to his childhood home. Perhaps the most famous person to hail from Blue Ridge is country singer Aaron Tippin, who graduated from Blue Ridge High in 1976. After beginning his singing career in the church choir at Mt. Lebanon Baptist Church, Tippin recently celebrated 25 years in the music industry. Tippin has retained ties to his hometown, creating a CD called “The Blue Ridge Project: Giving Back” with fellow Blue Ridge alumni Phil and Mark Lister (founding members of the country band Dixiana) and Wanda Land. Organized by retired teacher and songwriter Joe Bruce, who also attended BRHS, the CD was released in 2011 as a fundraiser for the school. Tippin also returned to perform as headliner for the Greer Family Fest in 2012. Since early in the nineteenth century, extreme northeastern Greenville County, especially the remote, rugged environs of Glassy and Hogback Mountains, has been known as the “Dark Corner.” Although opened to settlement following the Revolutionary War, the area remained sparsely populated well into the twentieth century. Its antebellum inhabitants were subsistence farmers who gained a reputation at the county seat for being poor, uneducated, prone to violence, and fiercely independent….The isolated hills and hollows of Dark Corner were a haven for Confederate deserters during the war and in succeeding decades for countless illicit whiskey distillers.